Happy National Family Fun Month! August is National Family Fun Month—how are you and your family celebrating? Across the nation, children are readying their backpacks and picking out those first day of school outfits. It’s hard to believe fall is almost here! Quality family time is fun all year round, but there’s something particularly special about spending those long, warm summer evenings with loved ones. So, what better time to celebrate National Family Fun Month? And what better place to celebrate than at a Levitt concert? Listening to free, live music in an outdoor, family-friendly environment provides an evening of fun for the entire family. 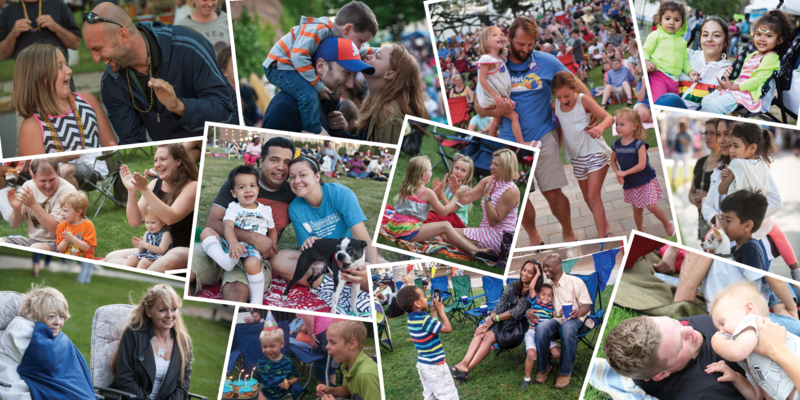 Looking around any Levitt lawn and seeing families of all kinds dancing, picnicking and relaxing together, it’s no surprise that Levitt venues have been proven to foster stronger connections among family-members (and friends). Check out our recently published white paper for more on how Levitt concerts strengthen and deepen social bonds. Last month, vocal powerhouse Kam Franklin of The Suffers—the 8-piece ‘Gulf Coast Soul’ sensation headlining the 2017 Levitt National Tour—looked out into the Levitt Shell Memphis audience and was struck by the number of children enjoying the show with their families. She exclaimed, “We don’t really get to see children at our shows because they’re usually late at night and 21 and up—this is just such a different kind of show. The fact that we get to come out here and all of these families get to see us for free is amazing.” The Suffers ended the lively night by inviting all the children in the audience to join them onstage for an unforgettable final song. So, if you’re looking to make a lasting summer memory before your little ones head back to school, look no further than the Levitt lawn in your community! This entry was posted in Holidays, Levitt in America, Levitt National Tour and tagged Levitt Shell Memphis, National Family Fun Month, The Suffers on August 9, 2017 by Nicole McGaffey.